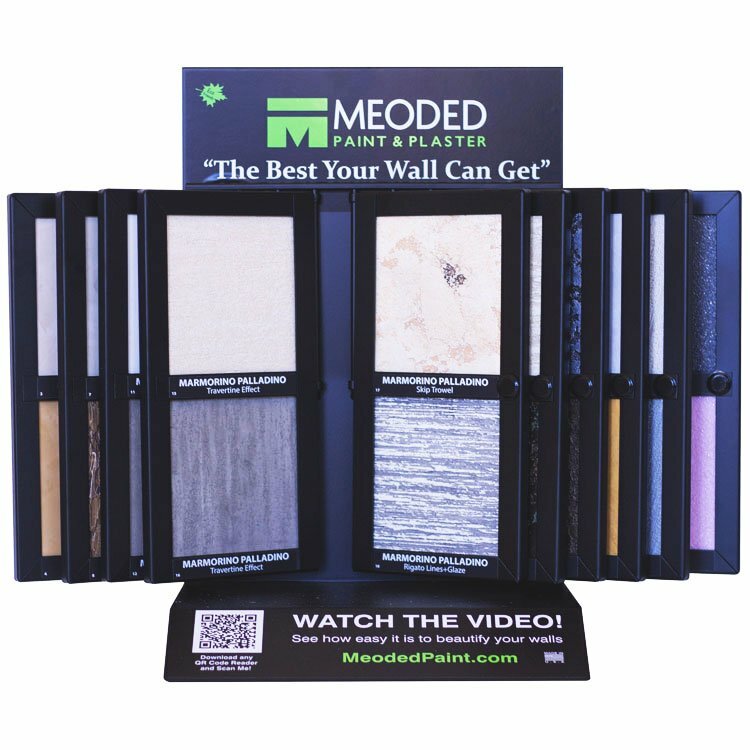 Meoded products are available to select paint retailers through our exclusive paint dealers program. Our high quality decorative paint products are eco-friendly and easy to tint with any standard colorant. Your customers will love Meoded for their vibrant colors and long lasting quality finish. We offer our paint dealers all the decorative paint products you need to become a professional decorative paint retail expert. By becoming a Meoded dealer it is our duty and commitment to “dress” your store in an exclusive manner. 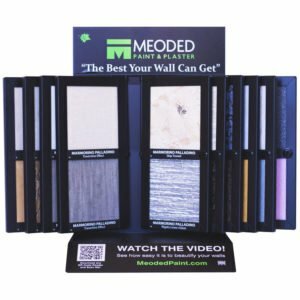 We will provide your store with counter-top displays that showcase all of our products in every texture and color through 40 samples that are linked to professional Youtube application videos. 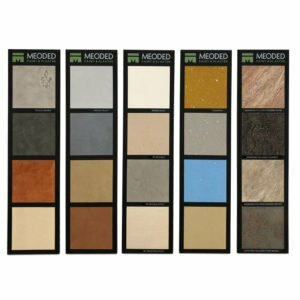 In addition, we will create a mini showroom in your store by providing wall panels containing 4 samples of each of our products, allowing customers to not only see, but feel the ultimate finish. As an added benefit of being a Meoded reseller, you and your staff can become trained on the application of our products through our in-store training program. We offer this service free of charge to jump start your decorative paint business and open doors to new revenue opportunities. The advantage of our decorative paints is their environment friendly composition that customers expect. All of our products are eco-friendly with little or, no Volatile Organic Compounds (VOCs). We are a certified LEED green company serving the commercial, residential, education and healthcare sectors. As a Meoded paint dealer, we offer you the opportunity to become an exclusive re-seller of our one-of-a-kind, “green” products that include Venetian plasters made with natural materials like marble stone and our decorative paints that are made with low VOC components. The decorative paint business caters to the luxury market which attracts clients with larger budgets. Becoming a Meoded paint dealer provides you with the opportunity to carry products for any type of job, whether it be a DIY home paint project, or a lavish high rise. By investing into the Meoded line, you will differentiate your store from competitors and attract new business that will help grow your overall store revenue. Our products are manufactured to last and our reputation in the industry precedes us for this reason. Our level of customer satisfaction is one of the highest in the industry, with repeat customers returning for all their decorative paint projects. Becoming a Meoded paint distributor is easy and we invite you to join our team. Just fill out the contact information, tell us how you found us and one of our knowledgeable staff will get back to you shortly. We respond to all inquiries quickly and are happy to explain to you the many benefits of investing in our decorative paint line.